As of 2011, Poland consumes 77 million tons of coal per year, which makes it the second-largest coal consumer in the European Union and the 10th largest in the world. But since the late 1980s, coal production took a steep decline in Poland, as several large mining operations were shuttered. Warsaw-based design firm, Nizio Design International, has come up with a creative solution for the abandoned Stara Kopalnia coal mine in Walbrzych, Poland. The firm will reimagine this cluster of lost buildings into an engaging public space, breathing new life into this economically depressed community. Stara Kopalnia was active from 1770 until 1996 and had created a fevered economy throughout the local community of Walbrzych. Over 40,000 square meters in size, this collection of 16 buildings will now help to transform a fossil-fuel dependent community into a new thriving cultural hub. The coolest part will be the integration of over 2.5 kilometers of underground tunnels. 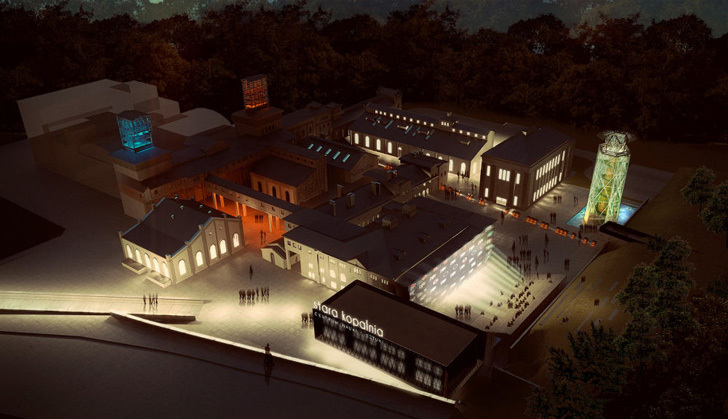 The new Stara Kopalnia will be completed in 2014, and it will include a museum of coal, art and design studios, an amphitheater, dance studios, and galleries for art. The museum will play a big role in educating the public on the process of coal power and how it affects the local ecology. 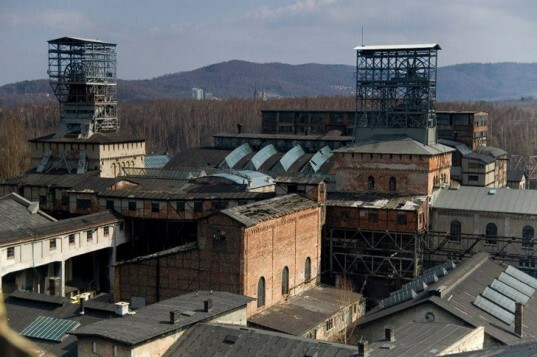 Also, organizations such as the Centre of Unique Ceramics, Centre of Walbrzych Culture, and the Centre for Song and Dance will have space in the adapted mine. These offices will be accompanied by coffee bars, recreation facilities, and even a hotel. The new development will usher in thousands and thousands of tourists and offer the locals job opportunities in the arts and tourism.